For the first time ever, see the creative world of LEGO come to life in the all-new feature-length movie. Meet Clutch Powers, the best builder and explorer in the LEGO universe as he heads off on his most dangerous mission yet. 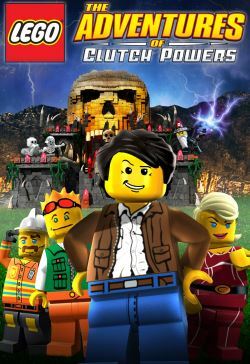 Join Clutch and his team of LEGO experts as their adventure leads them from LEGO City to the Space Police prison planet to the medieval world of Ashlar where they must help the rightful heir to the King's throne find the courage to regain the kingdom from the evil wizard Mallock the Malign. Their brick-building skills will be put to the ultimate test as they face off against Mallock's skeleton army. Get ready for an action-packed adventure like nothing you have ever seen before, The Adventures of Clutch Powers!